Discussion in 'Football Forum' started by SteveJ, Jan 5, 2018. 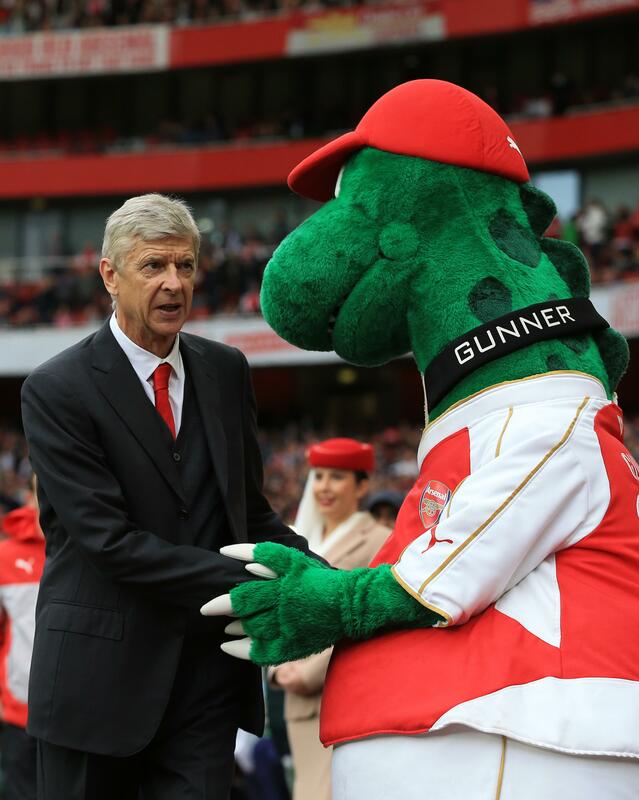 "Arsene, the scene where you shook hands and clearly looked directly at the mascot was lovely"
"I did not see the incident, no". For Once Wenger Gets The Rub Of The Green! But you're not really gunner, are you? You don't work for Emirates, do you? "Stop staring at me like that, you're creeping me out!" "I remember you from our last League title celebrations." "Is it true that we are both dinosaurs?" Arsene Wenger sacrifices his right hand to one of the local football Gods for the promise of a top4 finish. "You and me, coat doing up race later on"! "And they said we'd never replace Martin Keown..."
"Oi, Wenger! Remember the last time you won a League Title........even I don't." fecking hell @SteveJ, you brought the memories back from my childhood when I used to play Dino Crisis on PS1, we're blessed to have you. A dinosaur shaking hands. And the other one is Arsenals mascot. "Can I borrow your outfit for the next couple of weeks?" The 'rub of the green' comment wins easily like. I don't care who you are, I will not be sellling you in January... just leave on a free in the summer.